Large bedrooms can be tricky to fill—especially if they are long and narrow. Once you've centered the bed and nightstands on the most logical wall and added a dresser or two, the leftover space can feel a little puzzling. 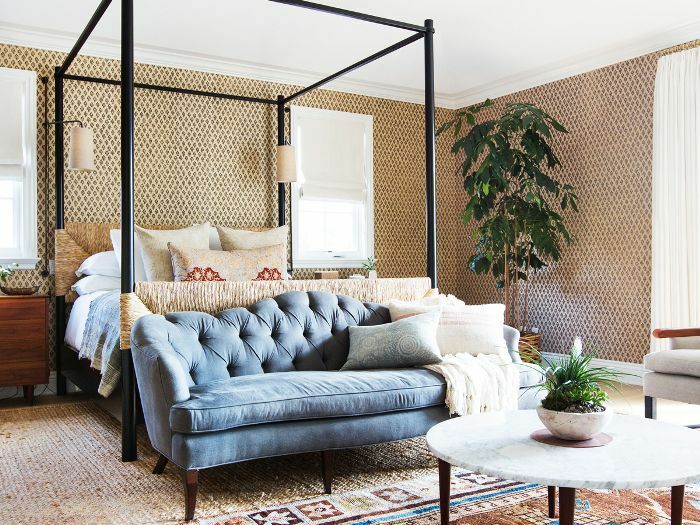 Here's one way to fill up space in your master bedroom while also turning your space into a multipurpose sanctuary—a small sofa. And it works in more than just very large master suites. 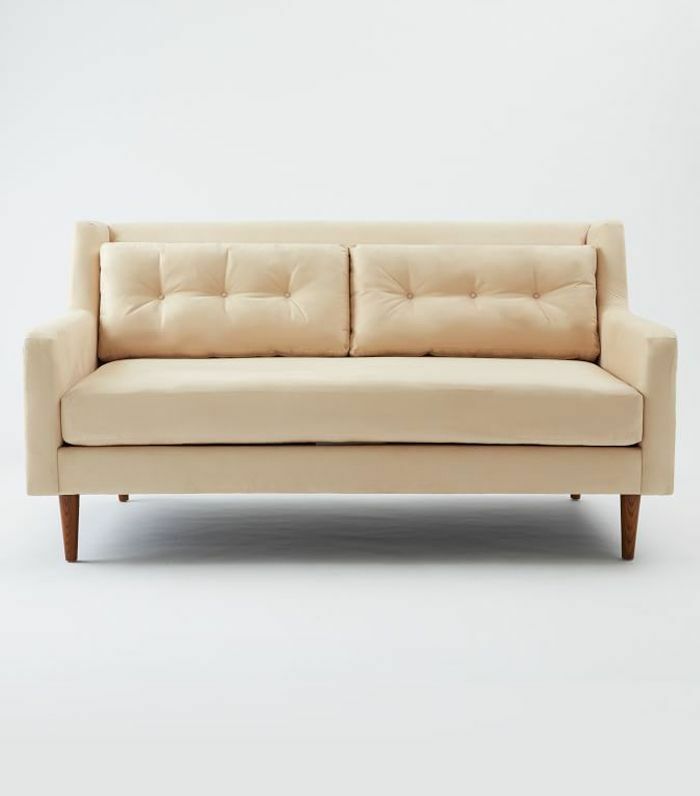 Realistically, all you need is five to six square feet to comfortably fit a loveseat or settee. Small couches for bedrooms can fit in a multitude of spaces: at the foot of a bed, by a window (or better, a bay window), in front of a fireplace, or opposite another sofa in a particularly long and narrow room. Each of these layouts will make your space feel like a calming retreat where you can turn to for ultimate relaxation. Ready to fill that awkward dead space in your master bedroom? Here are 14 small couches for bedrooms you'll love. 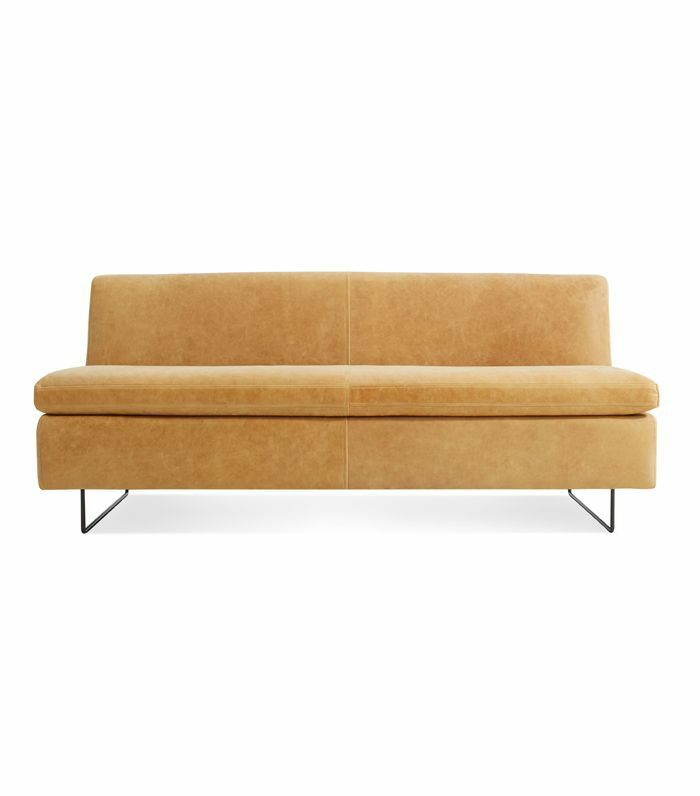 West Elm's Crosby sofa would look equally good at the foot of a bed or standing on its own in a large master bedroom. 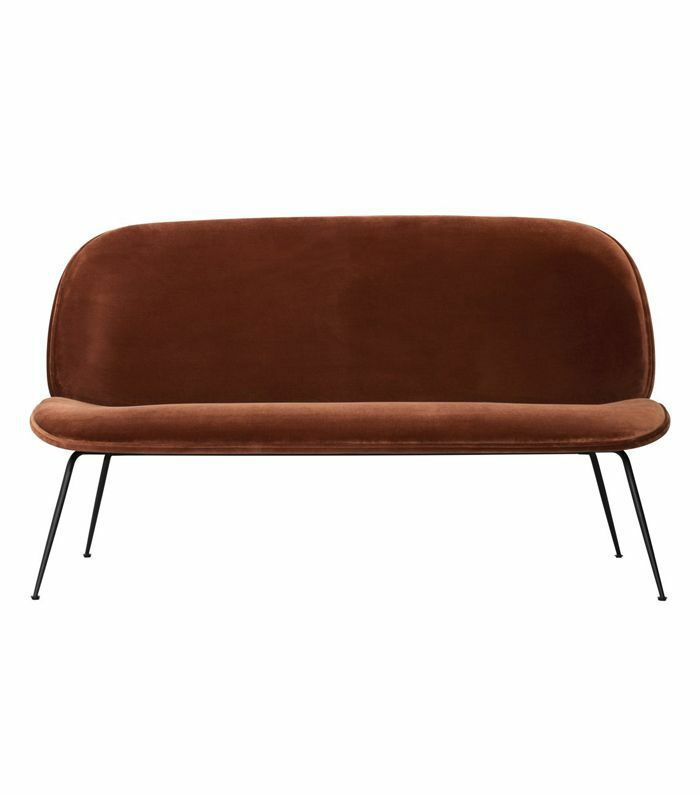 This loveseat looks like it was made for romantic vibes. 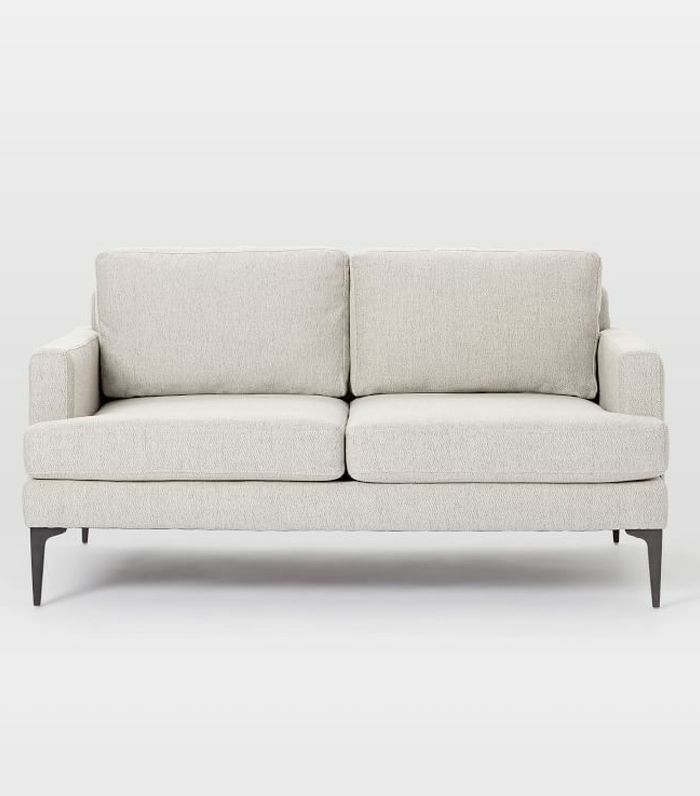 This petite sofa was made to fit at the foot of a bed. Are you a fan of the Gubi Beetle chairs? 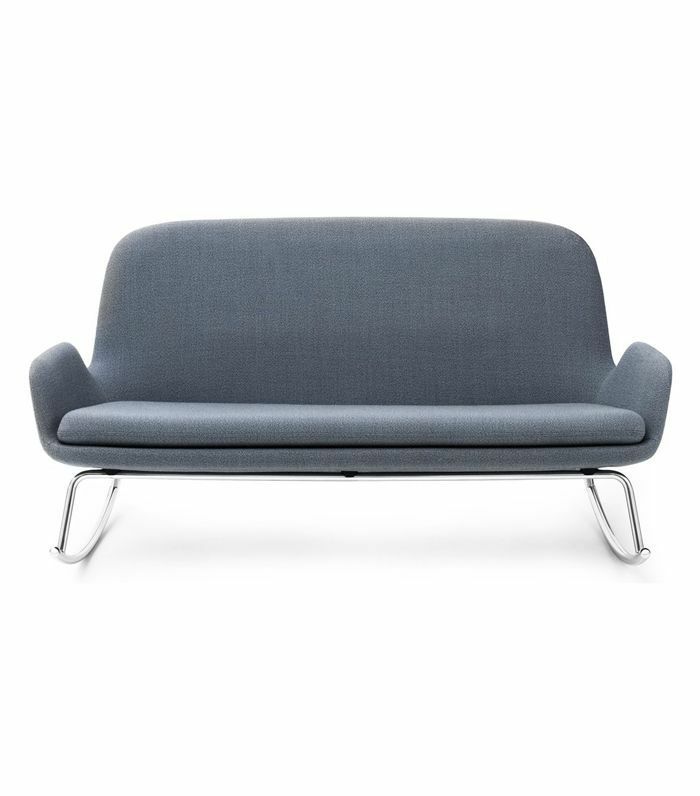 You'll love the sofa version, which is tiny and streamlined enough to fit the smallest bedrooms. 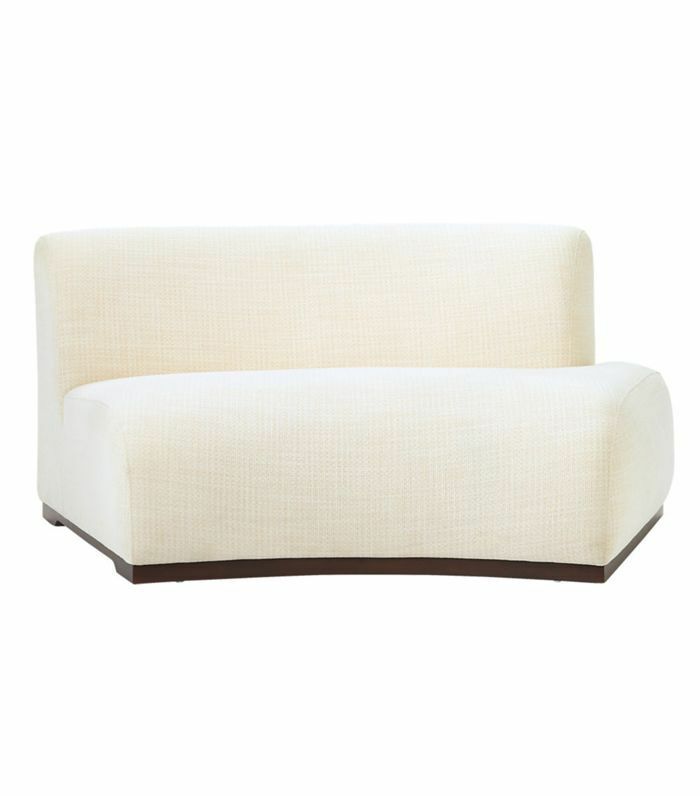 This tiny streamlined sofa is the ideal choice for a small bedroom reading nook. 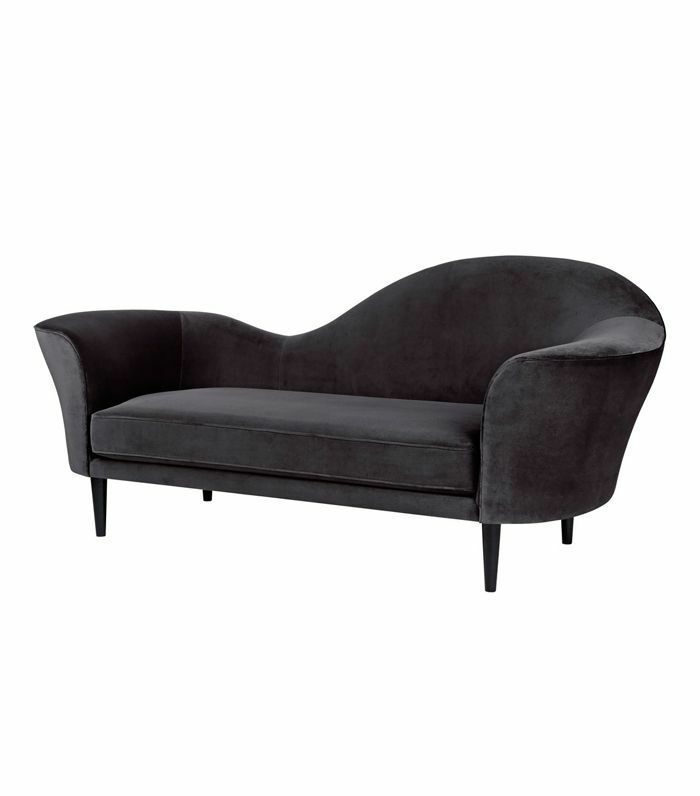 Give your master bedroom a dramatic flair with this grand piano black velvet sofa by Gubi. 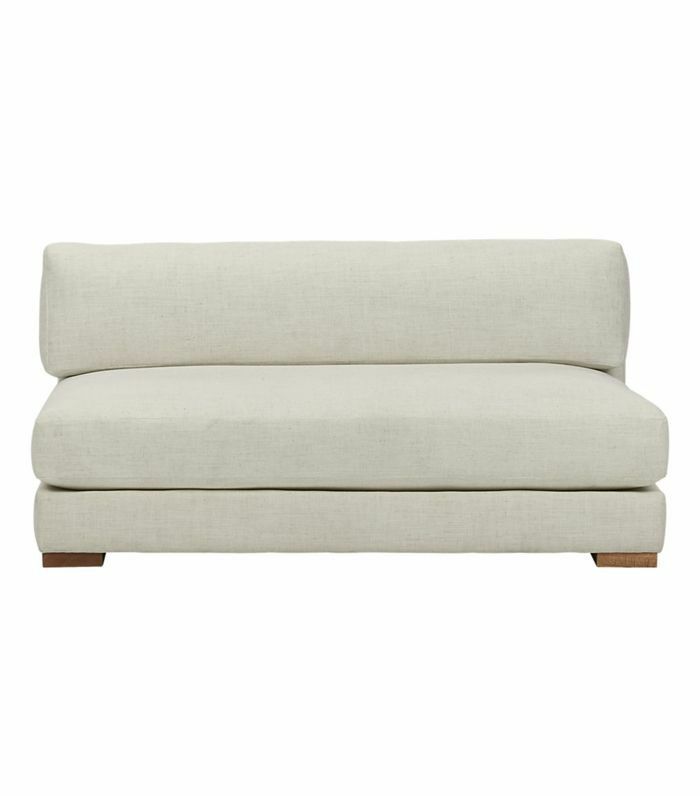 This small West Elm loveseat would tuck perfectly into a small bedroom nook. 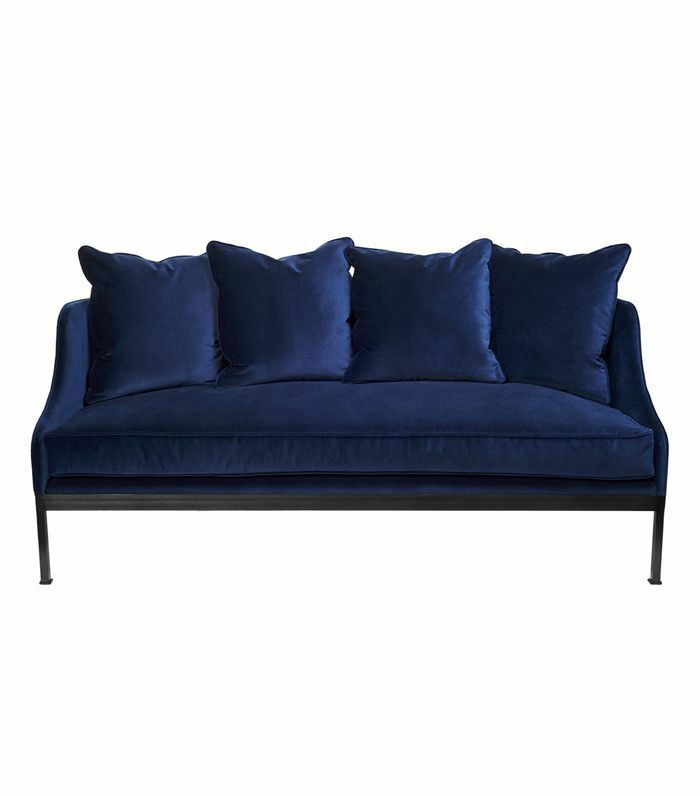 Add this sofa at the foot of your bed, under a window, or in front of a fireplace (if you're lucky enough to have one). Are rocking chairs your jam? You'll love this rocking sofa—great for young parents. 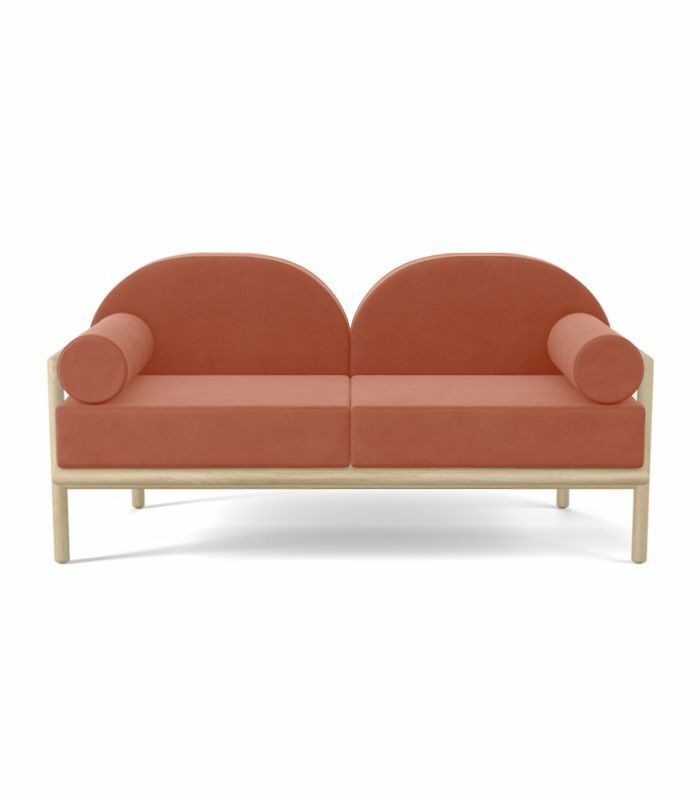 Use alone or in a pair, this curved CB2 sofa has flair for days. 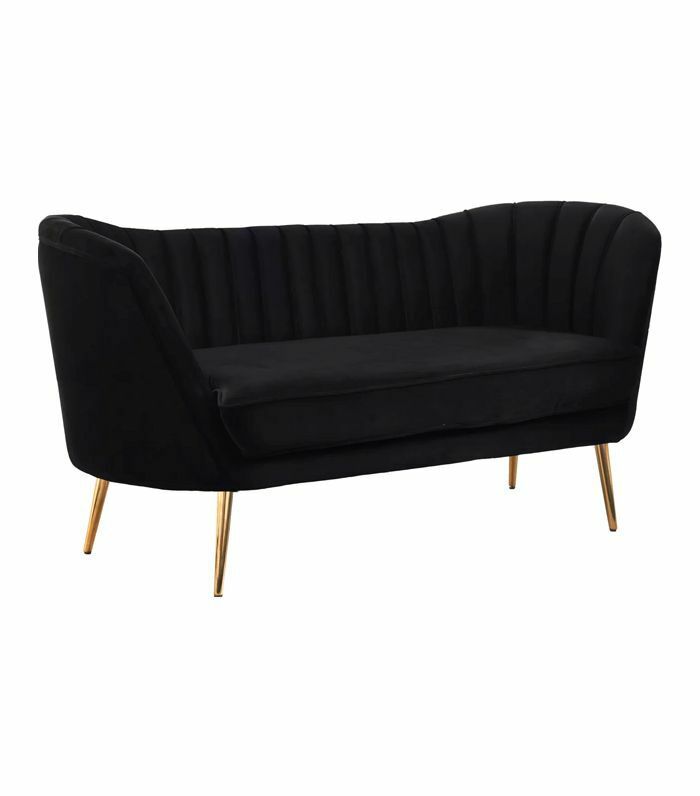 This small curvaceous sofa will give your bedroom a sultry look. 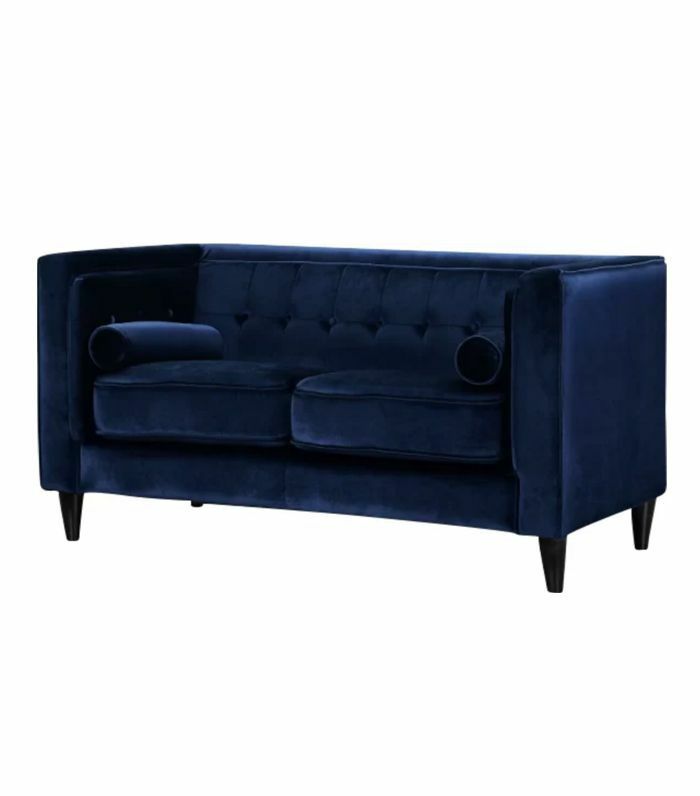 This elegant blue velvet sofa will add a dramatic flair to any bedroom. 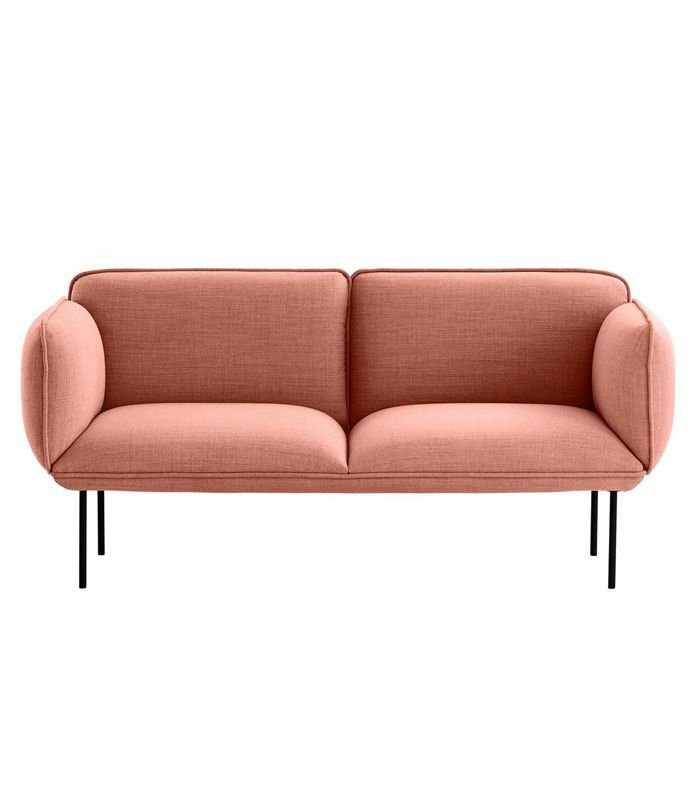 This plush pink cloud-like sofa looks like it was made for a small bedroom. 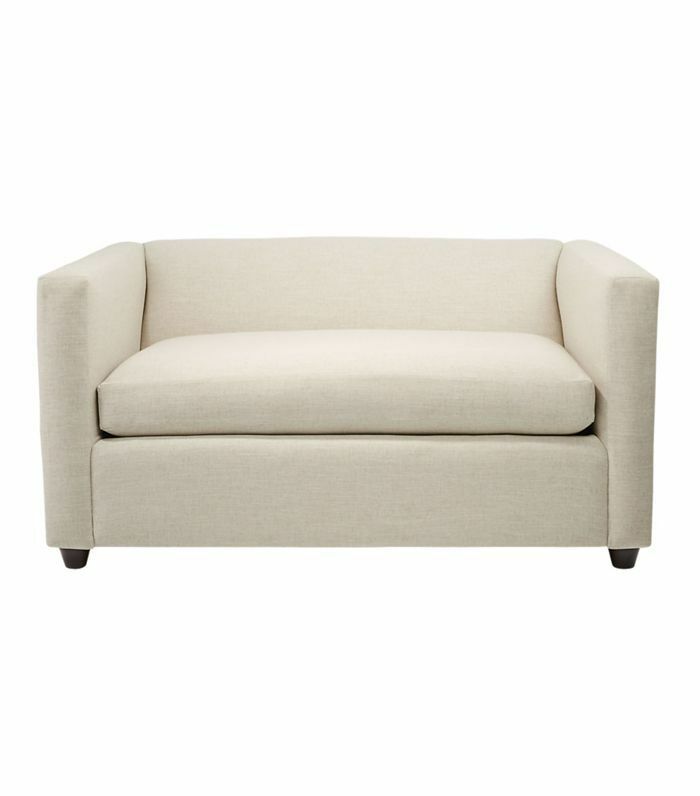 Armless low-slung sofas look fantastic at the foot of a bed.